Why did I read this book: 172 Hours on the Moon first caught my eye based solely on its title – and then when I read the blurb, I was instantly sold. Teenagers on a PR mission to reinvigorate NASA and raise money, gone terribly, horribly wrong? Sci-fi horror on the moon? Oh HELL yes. 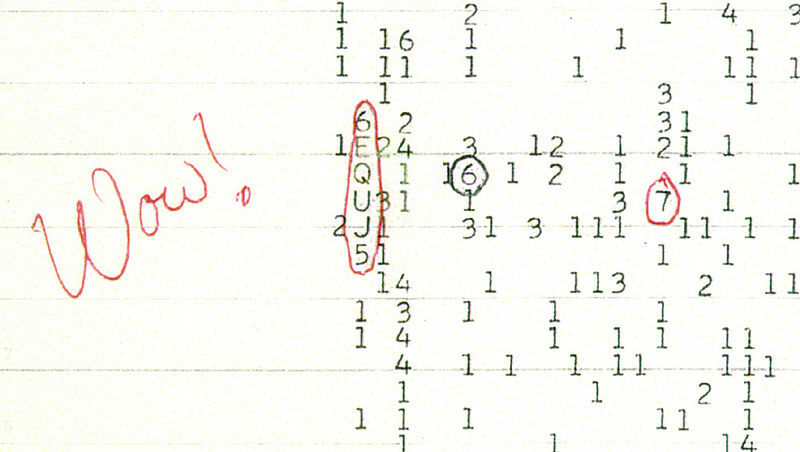 Until fall of 2010, when the mysterious signal is picked up once again by Earth. In order to secure funding to further investigate the lunar mystery, a small contingent of NASA’s need-to-know elite concoct a brilliant, high-stakes plan that will rip the space program from the cobwebbed clutches of the 1970s: they will send teenagers to the moon. In 2018, holding an international lottery for eligibly healthy teens between the ages of 14 and 18, NASA gambles with the biggest PR stunt of the century and instantly sparks speculation and feverish public interest. Three teens will be selected from across the world and will be given the chance of a lifetime to spend 172 hours on the moon, accompanying experienced astronauts on a goodwill research mission. Mia Nomeland, age 16 from Stavanger, Norway is headed to the moon by accident; her parents signed her up for the lottery without her consent or knowledge, but she’s determined to make the most of it for the sake of fame and fortune for her band. Midori Yoshida, age 15 from Yokohama, Japan enters the lottery to escape the dim future she sees in her home country. A Harajuku girl with ambitions much larger than those of her classmates or family, Midori sees the mission to the moon as her chance to leave Japan behind and live her bohemian dream in a Brooklyn loft with her best friends. Antoine Devereux, age 17 from Paris, France, has just had his heart broken when his beloved Simone dumps him for another man. Earth holds nothing more for Antoine, and the moon represents a new, fresh start. 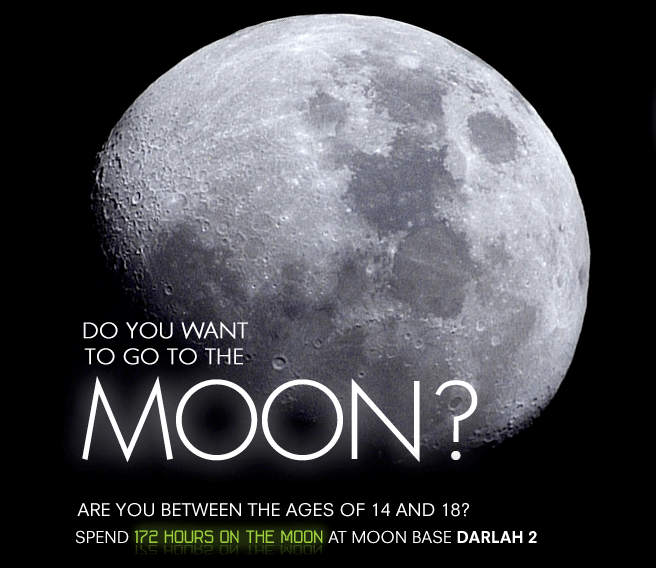 After a year of intense training and preparation, the three teens leave Earth in July of 2019 and make their way to the Moon and DARLAH 2, their temporary home for a little over a week. But something else waits in the vast, cold vacuum of space for the crew and yearns for Earth. 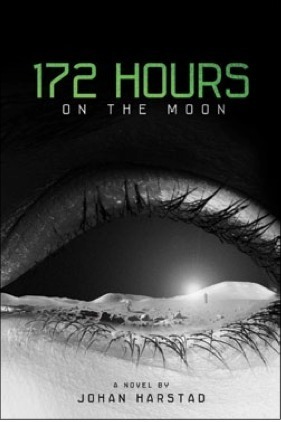 Blending classic science fiction and supernatural horror elements with an intriguing take on the revitalization of a largely irrelevant and overlooked space program, 172 Hours on the Moon is the first book I’ve had the pleasure of reading from Johan Harstad. Suspenseful and brilliant in its conception, I truly enjoyed this crossover novel, albeit with some reservations. First, the good: I adore the central premise of the novel and the idea of using a lottery and children as a means to endear public opinion and funding for NASA. When you first learn that teenagers are going to be sent to the moon, it requires some major suspension of disbelief – who in their right mind would actually send teens into a costly, dangerous, unprecedented mission to the moon? The conceit that this is all a publicity stunt for NASA is a stretch, but it makes sense – in a world where celebrities and the megarich are vying for tickets into low Earth orbit and where reality TV reigns supreme, sending teens as civilian representatives to the Moon isn’t that far off (after all, NASA and the United States had already launched a similar mission with the Teacher In Space program from 1984 – with similarly disastrous results). The fact that the teens would not be sent up into space alone, and would actually be observers – PR-candy civilians, as opposed to actual pilots and astronauts – aids the suspension of disbelief. It’s actually quite brilliant, and I applaud Mr. Harstad and 172 Hours on the Moon for making this seemingly impossible mission feel believable, right down to the details of keeping the Saturn V and LEM aesthetic for marketing and nostalgia purposes. Brilliant. Similarly, I love that the teenage protagonists of this story (Mia, Midori, and Antoine) actually feel like real teenagers – each of them is going to the Moon for reasons that do not stem from their being geniuses or super-space-enthusiasts. In fact, not one of them is going to the Moon for the sake of the Moon. These are flawed, at times self-centered, immature, real people, and I love that they are imperfect, not noble-minded or saintly good or worldly. In the strictest, unkindest terms, Mia is selfish, Midori a hopeless dreamer, and Antoine emotionally compromised bordering on unstable. This said, they are all endearing, believable protagonists in their own ways, and Mia especially grows impressively over the course of the novel. I loved that for all that NASA is an American institution, the teens selected are not American. Finally, I loved the buildup to the moon mission and the entire central concept of the story involving a signal from the moon, a classified moon base, and a mysterious lunar presence that dates back to Apollo 11. These praises said, there are some significant downsides to consider, too. While the overall story is brilliant in its conception, the pacing is uneven, with so much time spent on buildup to the actual lunar mission and a disproportionately short amount of time actually spent on the Moon. Once our crew actually lands in the Sea of Tranquility, things move along at a sadly rushed rate, creating a lopsided and truncated reading experience. The best works of horror are those that play on the slow seduction of terror – with fear building bit by tantalizing bit to a horrific crescendo. In 172 Hours on the Moon, the buildup is abrupt and ultimately dissatisfying because things are escalated so quickly. From a writing perspective, many key backstory elements are related in data-dump fashion, which feels a little more awkward at times because of the rigid, clinical feel of the prose (I should note this might be because of the translation). Another shortcoming was the lack of character development for Midori and Antoine – while all three teens initially get equal stage time in the early parts of the book, once our protagonists head to the Moon, we are given Mia’s perspective almost exclusively. While Mia goes through an impressive character arc and I enjoyed her story, it does come at the expense of the other characters, which is a shame. Finally, the ending of the book is fairly predictable and sticks to any number of science fiction and horror tropes – in itself not a bad thing, but I can’t help but feel like there was potential for more, and ultimately 172 Hours on the Moon didn’t quite live up to the spectacular promise of its early chapters. All these criticisms said, there is still plenty to get excited for with this novel, and certainly it’s one of the best pure science fiction titles in recent YA memory (i.e. the physics actually make sense, for once!). I loved the integration of science fact and the speculative stretch of unresolved mysteries explained with a supernatural/sci-fi twist (i.e. the Wow! signal). If you’re yearning for some old school science fiction with a good dose of tension and horror, you cannot go wrong with this book. 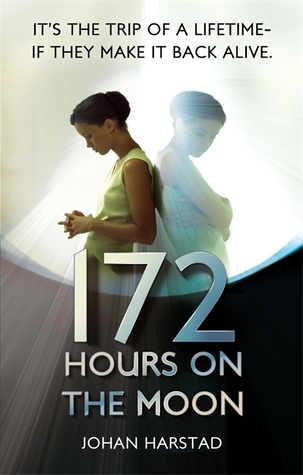 Suspenseful, entertaining, and well-researched, I truly enjoyed 172 Hours on the Moon. Recommended. It’s always like this, Mia thought, leaving the living room. They’re not listening. They’re just waiting for me to finish talking. Additional Thoughts: Make sure you stop by to check out our interview with author Johan Harstad for a chance to win a copy of 172 Hours on the Moon. And, if you’re interested, there are a ton of pretty cool book-related extras courtesy of the publisher, including a number of higher quality videos (youtube channel HERE). Check out the official website and facebook page for more videos, images, character profiles, and extras. I put this one down after a mere 15 pages because I was put off by Mia’s penchant for arguing just for the sake of being difficult. While I understand that is a defining attribute for many teens, I disliked it as a teen, and I dislike it now. I have been meaning to pick it up again though, and your review may just convince me. Emily – I totally understand and felt the same way. Mia’s narrative, especially early on, is incredibly frustrating because she’s so…self-centered. That said, while I didn’t *like* the character, she did feel genuine. She grows over the course of the book, so that’s something! If you do give it another chance, I’d be interested to hear what you think! Y’all just convinced me to go and check out the YT campaign. Love what Little Brown did with it! Also, HELLO ACCENTS. I really enjoyed this book until the very, and I mean very end. It seemed as though the doppelgängers were set to take over the earth, but then there was that mission report from 2081 that seemed to be written by humans. I’m all for open endings, but this was a little too ambiguous for me. Any ideas? This book was disapointing as it didn’t live up to my expextations. Some parts were quite confusing and didn’t make sense, especially the ending. I thought the book was okay. The suspense, terror, and horror were new to me, and I enjoyed those parts. But really? I wanted sci-fi/ horror, not Hamlet. The ending was a major let down/ really moronic. In my opinion, it brought the book down (a lot): where it could have been good, it was bad. And the pacing was also an issue for me, it made me feel neurotic. Maybe I’m just being nit-picky, but the book annoyed me, especially the ending. I can’t express that enough. hah at the end when Caitlin went to see Antoine outside it scared me that Caitlin dies but at the end i feel sad for sander that he got killed and also the man Henry i think was hes name when he died on the beach he so loved. Just finished this book…I struggled with it initially but then found it compelling until the end. Too many things were unresolved, I don’t mind the odd thing but this many was incredibly frustrating, and the end ‘Report’ just added to more questions without resolve – argh! There is a lot to enjoy in the book but I am left feeling…incomplete. I loved this book, even though it ended the way it did. I liked that I wasn’t really suspecting it, and even though it was sad, I thought it was compelling. I couldn’t put it down. I read 172 hours on the moon almost a year ago and it was so good I still remember it. I’m reading the reviews and I can’t help but think the unknown things were left alone on purpose, to leave you questioning things and to get you to continue thinking about the book. I’m not saying it’s not flawed, it is, I’m saying this particular thing is done on purpose. Okay, so i recently read this book, and I can honestly say I hated every minute of it. The only reason I read to the end was because I’m a sucker for supernatural, horror type things. Anyways, the characters were really one-dimensional, the book had so much telling in it, and information dumping. And there were things in there that just didn’t make sense, like the old man’s point of view and how we never even get his story or how he knew what he did. And there were needless things in there too, like Midori’s experience with the random lady in the bathroom, and her randomly remembering an urban legend that had nothing to do with the plot. The diction was also really stilted, and do you honestly want me to believe that Antoine just fell in love with Mia after being in love with his former girlfriend for so long? Also you get a real stalkerish feel with Antoine, he was a bit creepy. It felt like the development of Antoine and Midori began but never finished and left me hanging. And the ending made no sense, we clearly see that Mia was the one in the shuttle going back to Earth, so it makes no sense that she suddenly turns into the doppelgänger There are just too many issues with this book for me to want to list them all. I would never recommend this book to anyone. I just finished this book and came here looking for answers. How, in any reality, did Mia end up being a doppelgänger in the end? I’m so confused. It was obviously her on the shuttle, and going to Coney Island, but then – BOOM! – doppelgänger. I was honestly really enjoying the book right up until then.